A rapid water testing kit developed by a University of Plymouth spinout company is being rolled out commercially in the UK and Ireland. The SirenBW system developed by Molendotech, established to commercialise the work of Professor Simon Jackson, can dramatically reduce the length of time it takes for local authorities and environmental agencies to assess the quality of recreational water. Currently, it can take at least two days because samples must be sent to a laboratory for culture of organisms. SirenBW can be used on location by moderately-skilled technicians and can produce a result in 20 minutes. The commercial roll out is being carried out by Palintest, a subsidiary of FTSE 100 group Halma plc, and will initially focus on the UK and Ireland and include the establishment of a number of demonstrator sites. It follows a successful technical evaluation and demonstration during the 2018 bathing water season. The technical demonstration programme has also begun at several iconic Australian locations to accelerate the global roll out of the SirenBW during the southern hemisphere summer. The additional applications being developed with Palintest are designed to leverage the real-time availability of pathogen risk in water. Molendotech is also working with other commercial partners in food and beverage production, developing methods for detecting pathogens on fresh produce and in the water used to irrigate it. 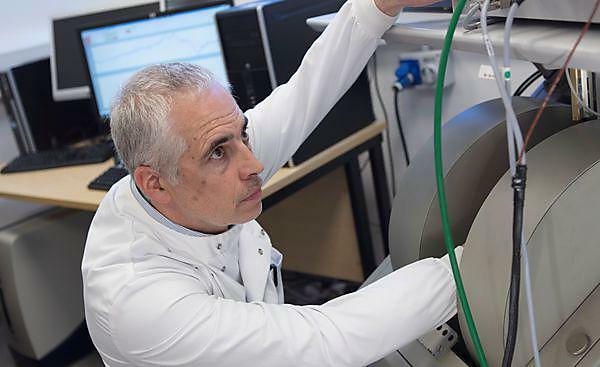 The connection between Molendotech and Palintest was brokered the University’s commercialisation partner Frontier IP, which holds a 14.1 per cent stake in Molendotech. Translational research to develop new therapeutics, diagnostics, interventions and preventative approaches for patient and public benefit. Our focus is on three core research themes: Cancer, Clinical Neuroscience and Infection, Immunity, Inflammation.